The salary of Northamptonshire County Council’s chief executive has been revealed, and she’s being paid more than her predecessor. Theresa Grant, who has been at the helm of the country’s poorest council since June, is earning £195,043 a year. It also more than the £186,000 paid to former chief executive Paul Blantern, who left the council in October last year, taking with him a £95,000 payout for loss of office. Chairman of the council’s finance scrutiny committee Mick Scrimshaw said such high salaries did not belong in the public sector. Ms Grant has made changes since she joined the authority, most notably putting library closure plans on hold and also taking back in-house the finance and democratic functions that had been moved to shared service LGSS. In her first interview last month (Oct) she said she saw her role as ‘putting the authority back together’. A next generation model devised and carried out by her predecessor, which saw various services put into arm’s length companies, proved to be a financial disaster. The new chief executive was praised yesterday (Nov 15) by chief executive of East Northants Council David Oliver who said the historic fraught relationship between the county council and the boroughs and districts has gone. He said: “The change in culture is very evident. In the past when we questioned anything we were met with outright hostility. Now the response is “let’s sit down and have a chat about it”. 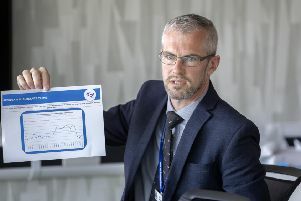 The authority, which is facing an £18.1m overspend this year and is in the red to the tune of £35m from the previous financial year, is also paying £225,000* this year for two commissioners appointed by central government. Councils have to publish the pay of their chief officers and senior staff by law. *This figure has been amended from £457,000 as previously reported, as information provided in the county council’s latest finance documents is under query.